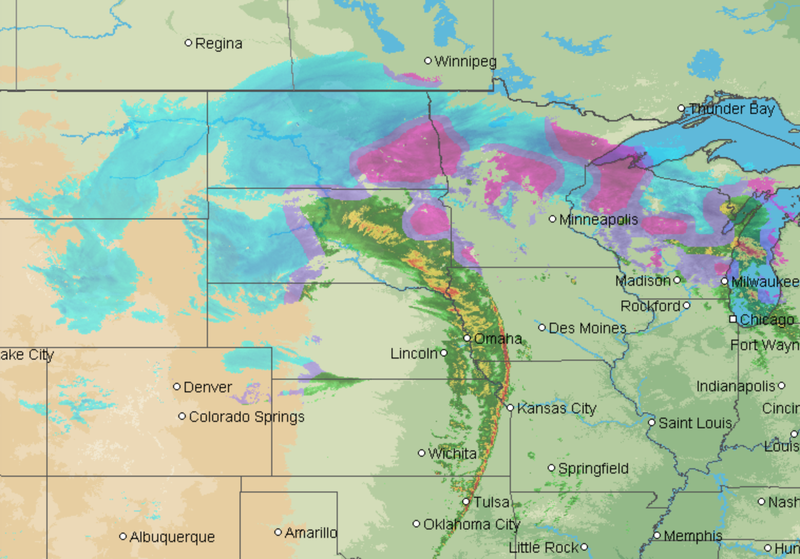 Here is the AccuWeather Regional Radar as of 5:45pm CST. The blizzard is in full progress, especially in the western part of the Dakotas. The ice storm is still developing. 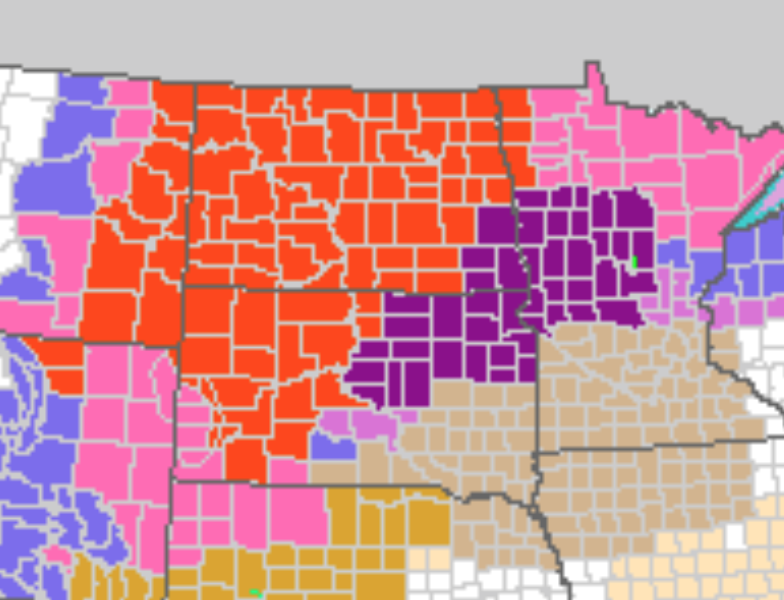 Please do not try to travel in the blizzard (orange) and ice storm warning (deep purple) areas.